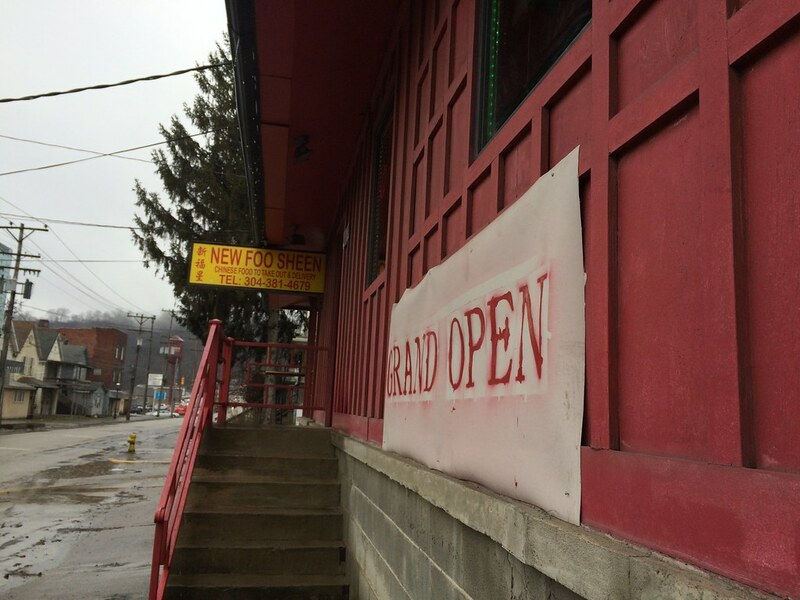 A new Chinese restaurant in downtown Morgantown has opened. 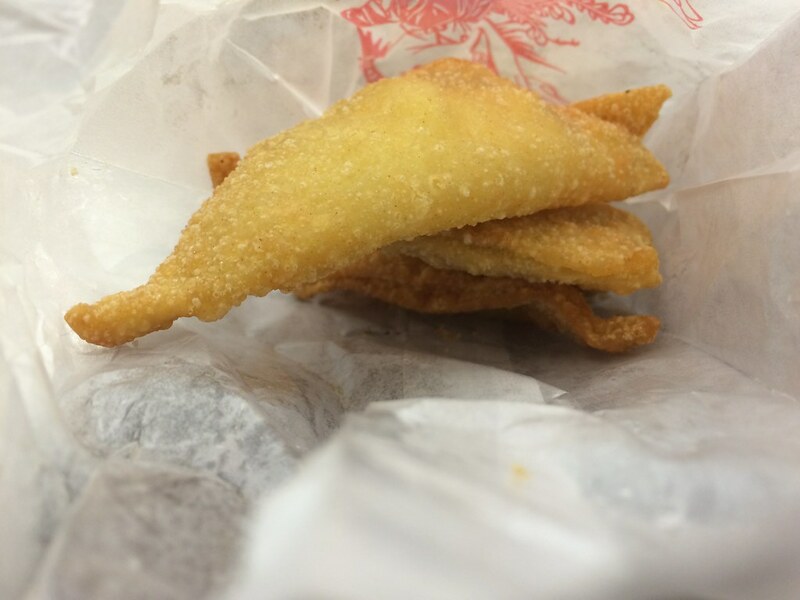 New Foo Sheen serves American Chinese food for delivery and take-out on Beechurst Avenue. 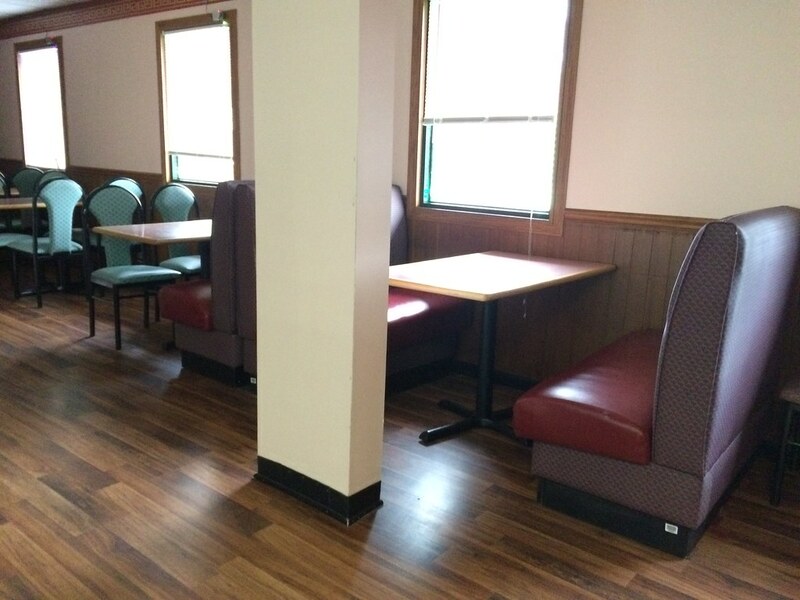 Limited dine-in space is available. The location was previously occupied by "Foo Sheen" years ago (I never went), so "New Foo Sheen" seems to be the new and improved version. The building, located at 450 Beechurst Avenue, has a red square pattern on the outside. But that's not actually the restaurant front; it's weird. You walk in through that way, go to the slight right and then open the door to the restaurant. The BP next door has a few parking spots, which is where we parked for our takeout. 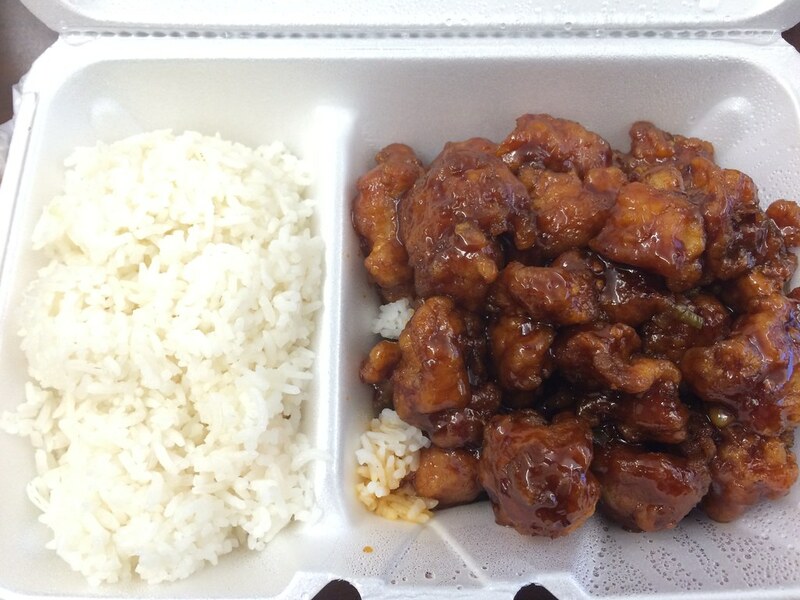 I ordered General Tso's, because what better way to measure an American Chinese restaurant by the ubiquitous General Tso's dish? After paying at the counter, receiving the order I had called in and heading back to work, do you want to know what excited me most? That container that has a division for the rice and chicken. The chicken was pretty average with some chewy/stringy pieces of meat and an average sticky sweet sauce. Nothing more, nothing less. The cheese wontons we ordered weren't bad. They were creamy inside, but most of the taste is overridden with the greasy/fried taste of the outer wrapper. So, convenient if you're in the area (though Lavender is very close...) but nothing I would go out of my way for.